Find this mark at register. Please bring items you suppose to buy at foreign money registerwith your foreign money. 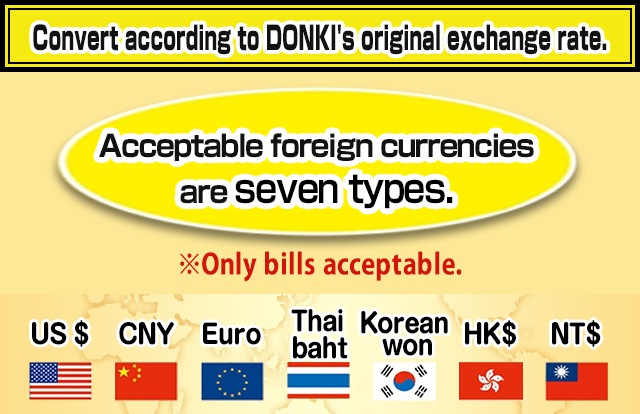 Exchange rate ※Convert your foreign moneyinto JPY according to DONKI exchange rate. with your foreign money. Find this mark at register. Convert according to DONKI's original exchange rate. We can accept only bills currently available in the market, and there are some exceptions. In addtion, depending on the state of the bill, some bills are rejected by the machine. We are recording the procedures by monitoring camera, to avoid circulation of counterfeit bill. Your request might be rejected after the examing the bills. Please check the exchange rate at the register. Exchange rate flactuates at 11 am on weekdays. It also fluctuates without any notice. Foreign money can be used only for the amount necessary for your purchase. No change given without purchase. Maximum amount you can use for one payment is up to ￥100,000- when it's converted into JPY. In one payment, JPY + 1 more currency can be accepted. Change is given by JPY. 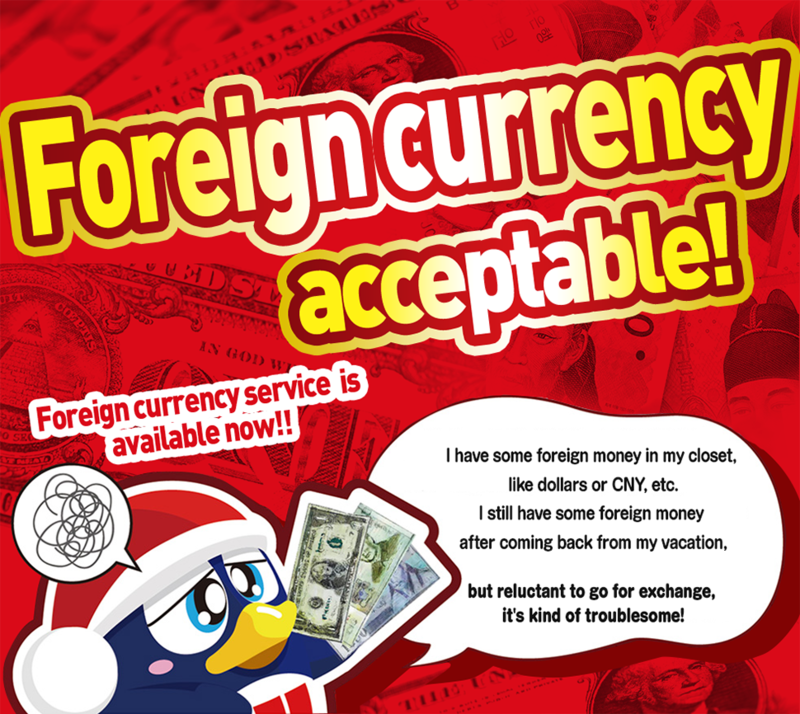 Acceptable currencies may vary without any notice. Only JPY is considered for charging electronic money "majica"
Payment can be accepted only for the dedicated register.